Hezbollah was reported to be mobilizing its forces in southern Lebanon on Thursday night in preparation for a possible US-led strike on Syria, and was said to be considering various retaliatory options against Israel should such an attack take place. 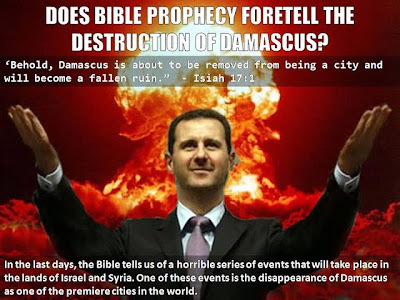 The top leadership of the Shiite terror group, which is closely aligned with the Bashar Assad government in Syria, was holding intensive discussions about the possible consequences of an attack on Syria and the appropriate response against Israel, Channel 10 reported, citing reports in the Lebanese media. 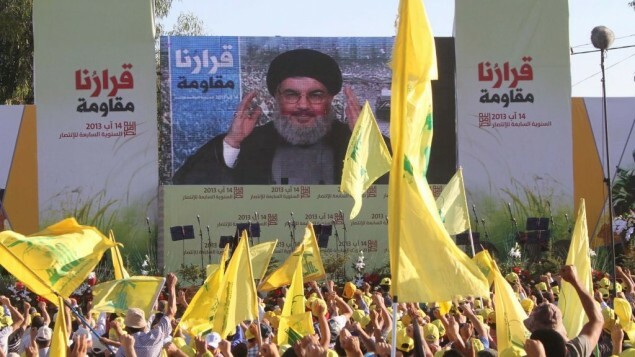 Hezbollah has raised its alert level and has begun deploying forces in south Lebanon in response to the current international debate over a possible attack on Syria in response to last week’s alleged chemical weapons use by Syrian forces, the report said. Hezbollah is unlikely to attack Israel unless a Western assault on Syria aims to topple Assad or seriously damage the Syrian army’s capabilities, a senior source with ties to Hezbollah told the Daily Star on Wednesday. 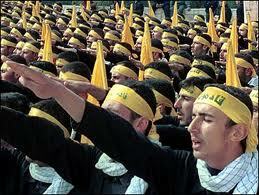 “If the Western attack is limited to certain targets in Syria, then, Hezbollah will not intervene,” the source said. The entry of Hezbollah troops into the Syrian civil war several months ago is credited as being a major factor in the Syrian government’s recent gains against the opposition, but has caused the terrorist group to face severe criticism in Lebanon. Israel and Hezbollah last fought directly in 2006, after Hezbollah kidnapped two IDF soldiers patrolling the northern border, leading to the Second Lebanon War, characterized by intense rocket fire into Israeli territory and an IAF air campaign over Lebanon. Hezbollah is understood to have several thousand rockets trained at Israel at all times, which, Hezbollah leader Hassan Nasrallah said last month, have been largely provided by the Syrian government. The IDF deployed several additional Iron Dome missile defense batteries in the Dan region around Tel Aviv and in the north Friday, as part of the army’s continued preparations for the possibility of conflict with Syria. The deployment was accompanied by the stationing of longer-range Patriot anti-missile batteries in the north and center of the country. The air force has also raised the readiness level of its Arrow 2 batteries, which are tasked with intercepting long-range missiles from deep inside Syria or Iran. An Iron Dome battery was deployed near Tel Aviv during last November’s skirmish with Hamas in Gaza, but was pointed south. This time, the focus is on the north, and a possible attack from Syria and/or Lebanon in the wake of any US strike on the Assad regime. On Thursday, the IDF cut back on leave for soldiers in units stationed in the north. It has also called up several hundred reservists, including personnel to staff missile defense systems. The DAMASCUS CRISIS in Bible Prophecy - Middle-East UPDATE!! The remarks from Jafari came at a time of intense international debate over a possible US-led strike on Syria, and followed bellicose statements from other high-ranking Iranian officials. 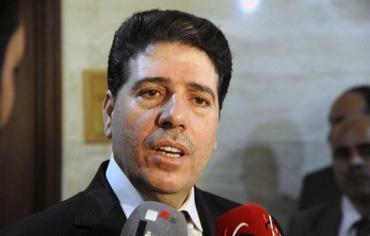 Iran is a major backer of the Syrian government. 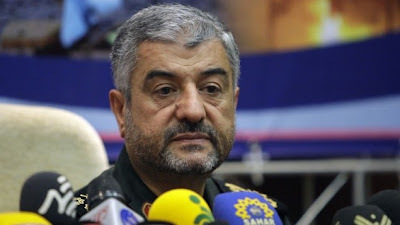 Military intervention in Syria by the US and its allies will “cost them dearly,” the chief of staff of the Iranian armed forces, General Hassan Firouzabadi, said Wednesday evening. “If the US attacks, the Zionists will burn,” he said, according to Israel’s Channel 2 news. Nice Party, but not so smart! Syrian Prime Minister Wael al-Halqi on Wednesday warned against foreign military action taken on his country asserting that Syria would become a "graveyard of invaders". The "colonialist threats" of foreign nations "do not terrorize us because of the will and determination of the Syrian people, who will not accept being humiliated," AFP quote Halqi as saying on state television. People in Damascus stocked up on supplies on Wednesday and some left homes close to potential targets as US officials described plans for multi-national strikes on Syria that could last for days. Forces loyal to Assad's government appear to have evacuated most personnel from army and security command headquarters in central Damascus in preparation for a possible strike, residents and opposition sources said on Wednesday. "Even though I walk through the valley of the shadow of death, I will fear no evil,"
IF YOU'LL LIKE IT OR NOT! Dr. Mordechai Nissan, noted scholar of Middle Eastern Studies at Jerusalem's Hebrew University and author of the book "Only Israel West of the River: The Jewish State and the Palestinian Question" (2011), added his voice to a growing movement calling on the Israeli government to reconsider its approach to negotiations with the Palestinian Authority. Speaking with Arutz Sheva at a Jerusalem conference entitled "Two States for Two Peoples, on Two Sides of the Jordan River," Dr. Nissan explained why he backed calls for the establishment of a Palestinian state in Jordan, claiming that the country has "already been transformed into a Palestinian homeland for all intents and purposes." 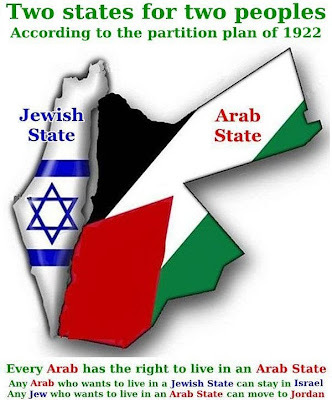 Dr. Nissan rejected the idea of a PA-run state in Judea and Samaria as "lethal to the Jewish people," claiming that an attempt to squeeze two states into such a small area was a "formula for catastrophe" that would simply exacerbate the conflict further. 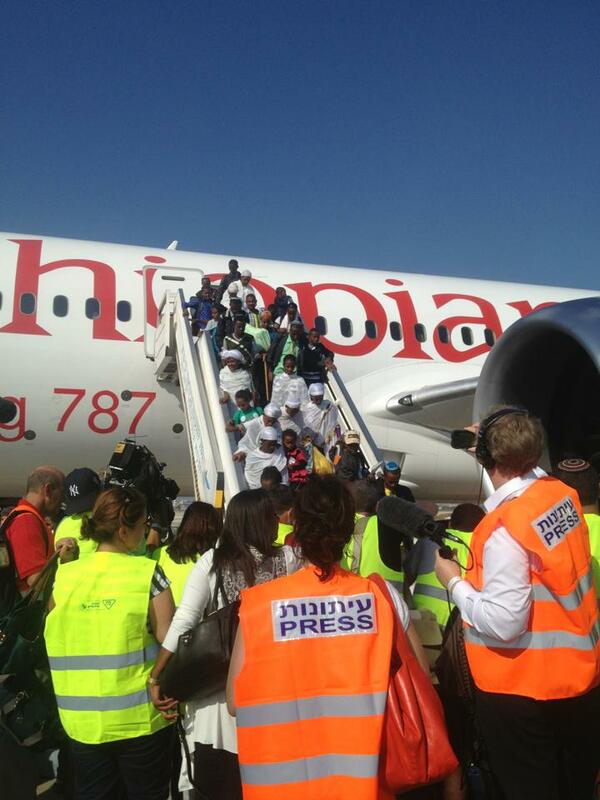 After nearly 30 years, aliya from Ethiopia came to a formal close Wednesday, with two final charter flights containing 450 Falash Mura landing at Ben Gurion Airport in the late afternoon. fter nearly 30 years, aliya from Ethiopia came to a formal close Wednesday, with two final charter flights containing 450 Falash Mura landing at Ben Gurion Airport in the late afternoon. 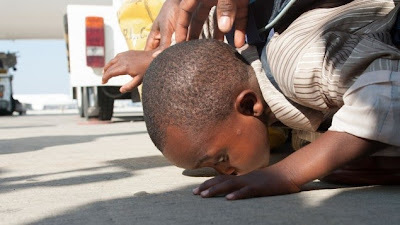 The end of the Falash Mura aliya from Ethiopia has been plagued by ongoing strife surrounding the group’s limited immigration to Israel and those left behind; with some questioning the group’s connections to Judaism and others arguing that Israel should have taken more of them in. Women from the Falash Mura community waiting in Gondar to be transported to Israel in 2012. 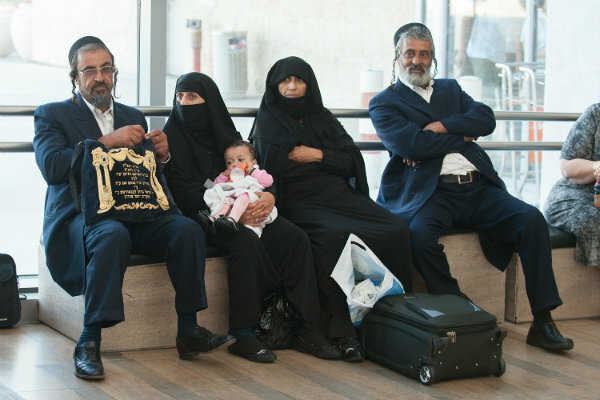 The arrival of the group in Israel was clouded by criticism from Falash Mura immigrants already in Israel who claimed many of their relatives were stranded in Ethiopia, charging the government with abandoning them and calling on Prime Minister Benjamin Netanyahu to reconsider allowing them to make aliya. Hundreds of Ethiopian Israelis protested outside Netanyahu’s office in Jerusalem Wednesday ahead of the scheduled landing of the flights. 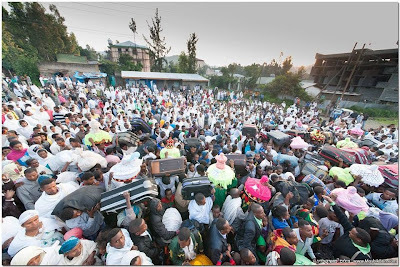 Some 12,000 members of the Falash Mura community in Ethiopia, centered in and around the city of Gondar in the north of the country, have not been granted permission by the Interior Ministry to make aliya. Yesh Atid MK Dov Lipman urged the government to reconsider. “I welcome the new Immigrants arriving today. However, there are hundreds, if not thousands, of daughters, sons, mothers, fathers, brothers, and sisters of Ethiopians who are already in Israel who are being left behind. And, we won’t leave them behind,” he said. Lebanese website reported that Syrian Army Award 500 Scud missiles and directed them toward Israel. According to the report, which received validation from anyone, Russian-made missiles have warheads weighing half a ton. 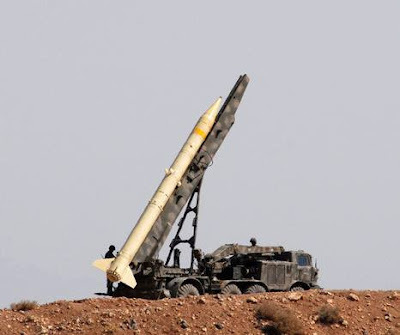 “Syria deployed 500 Scud missiles and guided them towards Israel” – The site reports that the Lebanese Allachbrih lubnaniyya. According to the site, during the last days of Syrian forces deployed Russian-made ballistic missiles, which have warheads weighing half a ton. 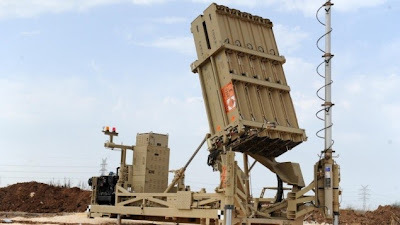 According to the report, there is a large military alert in the border area of Israel, for fear of Syrian President Bashar Assad, fighting for survival against the rebels will use this weapon. Was not even an official report on the report. Dat de Nederlandse overheid al jarenlang indirect anti-Israël initiatieven en organisaties financieel sponsort waaronder ICCO met steun aan Electronic Intifada, is al meerdere keren in de media aan de orde geweest. Terwijl BDS activiteiten tot voor kort nog werden overgelaten aan organisaties als het Palestina Komitee, DOCP etc. heeft de staat zich nu opgeworpen als actief voorvechter van BDS. Naast het labelen van produkten uit de "bezette" gebieden, worden nu bedrijven direct door de overheid benaderd om bedrijfsactiviteiten te staken die de zogenaamde "Green Line" overschrijden omdat dit in strijd zou zijn met het internationaal recht. 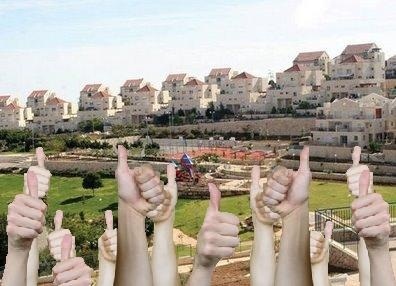 De nieuwe Europese richtlijnen voor Israël die ingaan vanaf 2014, gaan voor het huidige kabinet schijnbaar niet ver genoeg, reden om Royal Haskoning DHV te manen om haar aandeel in het project Kidron valley te staken. Volgens huidige berichtgeving overweegt Royal Haskoning DHV zich terug te trekken uit het project, het bedrijf heeft zelf nog geen commentaar gegeven. Naast het project Kidron is het bedrijf betrokken bij het Masterplan Jordan River Valley. 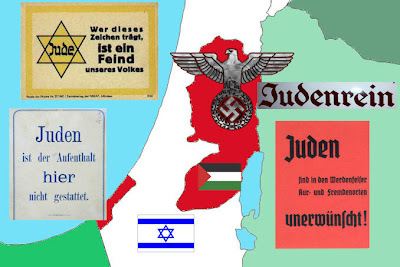 Bij beide projecten zijn organisaties en bedrijven van zowel Israëische als Palestijnse zijde betrokken. Daar waar het de politiek niet schiijnt te lukken, blijken Israëliërs en Palestijnen op ecologisch gebied dus goed samen te kunnen werken. Mocht Royal Haskoning DHV zich op aandringen van de Nederlandse staat terugtrekken uit het project dan wordt niet alleen dit initiatief ondermijnd maar zal het ook ten koste gaan van het leefklimaat van met name de Palestijnen. Over eventuele financiële gevolgen voor Haskoning zullen we het maar niet hebben. Het lijkt de zoveelste "FAIL" van dit kabinet en wat mij betreft is er maar één goede plek voor het gevoerde beleid en dat is het riool ! LEEUWARDEN, Netherlands – When Jacob Nathan de Leeuwe found himself returning nearly two decades ago from his home in a suburb of Amsterdam to this isolated idyll he calls “the end of the world,” it undoubtedly was the pull of his roots. De Leeuwe’s family had lived in this semi-autonomous region in the northern Netherlands known as Friesland for 200 years, and a unique Jewish community with its own customs, traditions and even language had thrived here. His mother was raised in Leeuwarden, Friesland’s capital, among 1,500 Jews concentrated in a Jewish quarter that had several kosher butcher shops, a kosher cafe and a Jewish education network going from kindergarten to high school. But then the Nazis came and the Friesland community was wiped out. 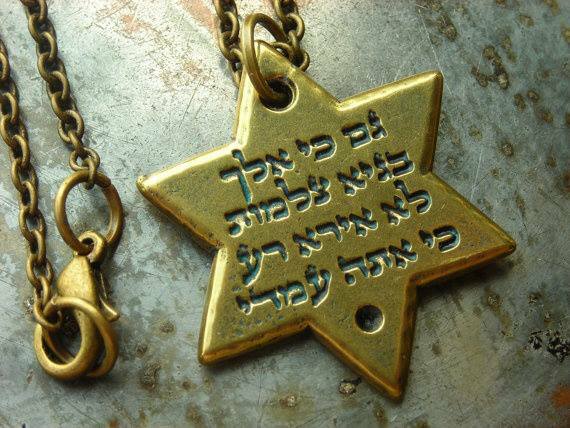 Today only 50 or so Jews remain in Leeuwarden among the approximately 650,000 people living in the region, which has about 150 Jews. 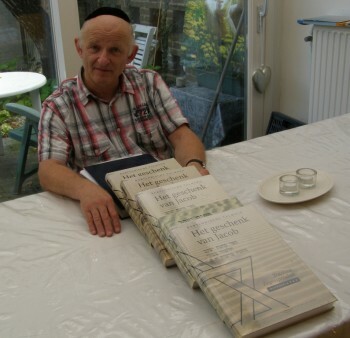 Five years ago, De Leeuwe, 62, began focusing on another aspect of his roots, the Talmud, which he started to painstakingly translate into Dutch. This summer he reached the first milestone in his work, completing the translation of the first tractate, Brachot, in nine annotated volumes. De soennitische jihadistische groep in Libanon (PFLP-GC) die raketten afvuurde op het noorden van Israël op donderdag laatstleden, is de laatste aanwijzing dat met al-Qaida-gelieerde elementen een bolwerk opzetten nabij de grenzen van Israël, op zoek om Israël te trachten in het conflict mee te slepen om hun eigen belangen te dienen. Het is niet onredelijk om te veronderstellen dat diegenen die de raketten afgevuurd hebben maar al te graag de voorwaarden zouden willen creëren die het IDF zou mee zuigen in een conflict met Hezbollah. In de Sinaï Panininsula in het zuiden van Israël, delen terroristen dezelfde ideologie als hun broeders in Syrië en vuurdeb eerder deze maand een raket af op de Israëlische badstad Eilat, waarschijnlijk in de hoop dat door het uitlokken van een incident het vredesverdrag tussen Israël en Egypte vredesverdrag zou ondermijnen. In het licht van deze factoren, zal Israël trachten zijn antwoorden zodanig te kalibreren zodat een en ander niet past in het oorlogsontwerp van de jihadisten, terwijl het kordaat de veiligheid van zijn burgers blijft bewaken. 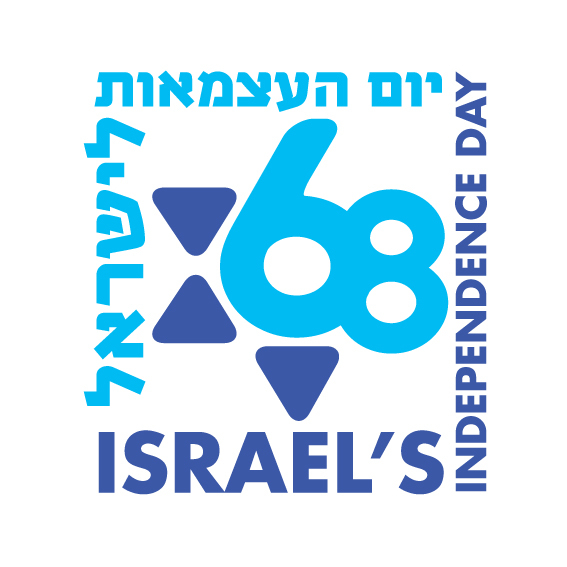 Dit betekent niet dat het IDF op het hek gaat zitten telkens dat wereldwijd verspreide jihadisten een raket afvuren op Israël. In de afgelopen jaren heeft het leger zijn vermogen geperfectioneerd om snel doelen te herkennen die opdagen en verdwijnen over zijn grenzen heen en hen met directe en alles vernietigende precieze vuurkracht uitschakelden. In combinatie met de juiste inlichtingen, betekenen deze capaciteiten dat het IDF voorbereid is om te reageren op de bedreigingen die zich zowel in het noorden als in het zuiden ontwikkelen. Er is geen reden om aan te nemen dat een gebrek aan reactie op één enkel incident zich een volgende keer zal herhalen dat raketten gericht worden op Israëliërs, of wanneer een grensoverschrijdende aanval wordt gelanceerd. Elke dag in dit chaotisch gebied zal situaties creëren waarop de beleidsmakers een antwoord op zullen moeten formuleren. 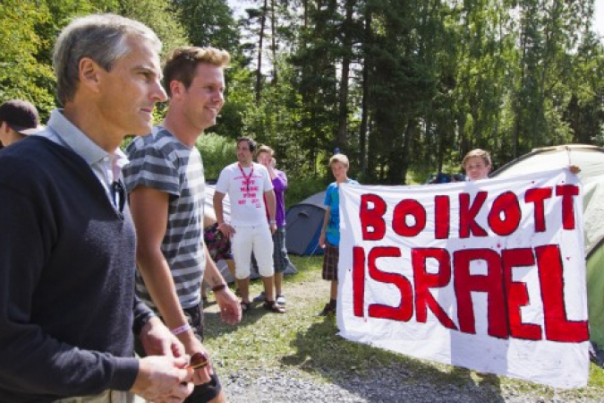 De voorzitter van de in de Verenigde Staten gebaseerde groep Americans for a Safe Israel, Mark Langfan, benadrukte op donderdag dat de gebeurtenissen van de laatste dagen aan de noordelijke grens van Israël met Syrië en Libanon als het bewijs dat Israël nooit de controle over Judea en Samaria (op de West Bank) mag overdragen aan de Palestijnse autoriteit. Nooit een Palestijnse staat op de West Bank dus zelfs niet eens een gedemilitariseerde staat. Erdogan: Why Did Washington Condemn My Remarks on Israel? 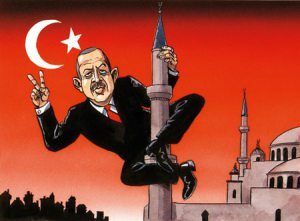 Turkish Prime Minister Recep Tayyip Erdogan is not letting down on his attacks on Israel. On Saturday, Erdogan criticized the United States for its response to his claims of Israel's involvement in the Egypt crisis. The Turkish leader on Tuesday accused the Jewish state of being behind the military-backed ouster of Islamist president Mohammed Morsi last month. Erdogan told members of his AKP party that “Israel is behind the coup in Egypt. His accusation was furiously rejected by the White House which described it as "offensive and unsubstantiated and wrong." Erdogan's comments about Israel have also infuriated Egypt's new rulers who said the Turkish leader's latest words "have no basis in fact and are not accepted by any sane or fair person." Egypt warned Turkey that it was losing its patience over Erdogan’s remarks, saying the comments aimed to divide Egyptians. "The cabinet stresses that Egypt's patience is wearing thin," said Egyptian ministers. In Israel, an official in Prime Minister Binyamin Netanyahu's office told AFP Tuesday, "These comments by the Turkish prime minister are nonsense." MK Avigdor Lieberman (Yisrael Beytenu) hit back at Erdogan's comments on Israel, comparing him to Nazi propaganda minister Josef Goebbels. "Anyone who heard Erdogan's hate filled rhetoric and statements of incitement understands beyond any doubt that this is a person who continues in the footsteps of Goebbels. His libels are like those of the Dreyfus trial and the Elders of Zion," said Lieberman. All we are hearing on the News is how Obama must send troops and enforce a no fly zone in Syria to stop Assad from using chemical weapons. The truth is Assad did not use chemical weapons on innocent civilians as it is being reported. He would be crazy to do that, and the area where these weapons were supposedly (if in fact they were used) is in a part of Damascus not under the control of Assad, and if you look more closely at the videos coming out they just don’t look like the results of chemical deaths. The truth is the so-called Rebels (Islamic terrorists) will do anything to bring the US and Israel into the fight if they can direct them against Assad. 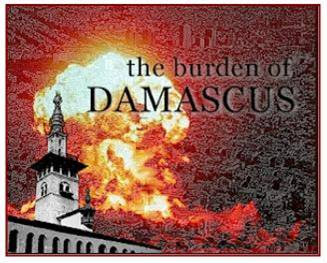 Their goal is to take over Syria like the Muslim Brotherhood did in Egypt. The terrorists can depend on Obama who always comes to the aid of the Islamic extremists. At the same time this chemical attack was reported to have taken place al-Qaida sent 4 rockets into northern Israel trying to draw Israel into the fight. But that didn’t work and all they got was a return serve from Israel in like manner into the terrorist area where the rockets were fired from. 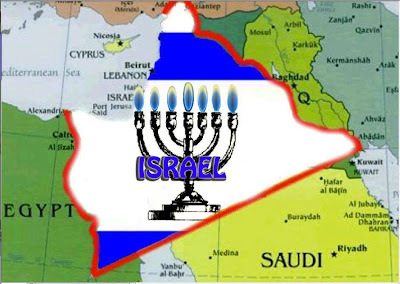 Israel has good intelligence coming out of Syria and will not be fooled by the terrorists. Another thing that has become more transparent is the control of the major mainstream media who like Obama are doing all they can to deceive the general public world-wide. It would be hard for me to believe for a moment that they don’t know the truth – but instead of truth they have an agenda. As for us here in Israel and our wonderful Islamic Arab Neighbors we couldn’t be happier to see them kill each other. The one thing we should be aware of is that they feel it necessary to kill and behead someone all the time. So better they do it to each other and not us. If some think I sound harsh or negative it only means they just don’t understand the reality of the days in which we now live. We read in God’s Word Gen. 16:12 And he will be a wild man; his hand will be against every man, and every man’s hand against him; and he shall dwell in the presence of all his brethren. What we now see happening in Egypt, Libya, Lebanon and Syria give testimony to that Scripture. What you see happing in other countries throughout Europe, Australia, New Zealand and the United States confirms this as the Muslims show their ugly heads with their honor killings, beheadings and Sharia Law. 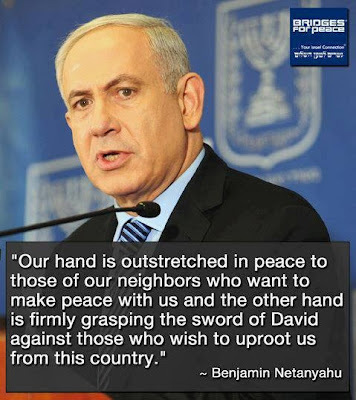 Here in Israel it is obvious to those who have eyes to see what Obama and Kerry are trying to do. To say it simply; they want to bring about the destruction of Israel and they know a two-state solution will do just that. We also feel in our spirits that something big is happening and we will not like it. But more important than all the seeing and feeling is that we know God is with us, that He will bring the Jews back to Israel. That His Prophetic Word will come to pass. Obama or the Devil himself can’t stop or even slow down the Word of God. 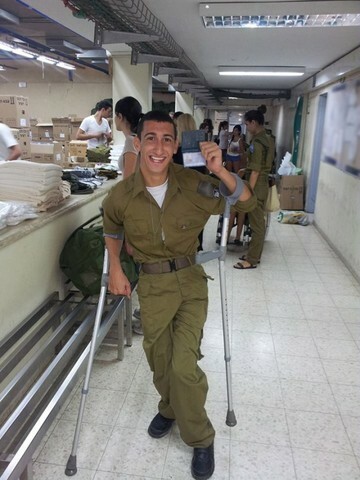 A man overcame his illness to join the Israel Defense Forces, according to a reports by the IDF blog. A new recruit to the IDF shares his personal message of overcoming challenges to serve the country. “Every citizen in the State of Israel, no matter whether born with a disability or not, needs to serve his country. Trust me, volunteers do as much as the soldiers recruited by law, and sometimes even more. My name is Ben Levy, I was born with cerebral palsy and I’ll be 20 in a month. From a young age it was clear to me that I wanted to be a soldier. My dad is a policeman, and my brother is a paratrooper. At home, they always taught me to serve the country and to give of myself as much as I can. Two years ago, I got an exemption from the army, but my affair with the IDF had only just begun. Last week, I enlisted in the IDF for a full two years of service. 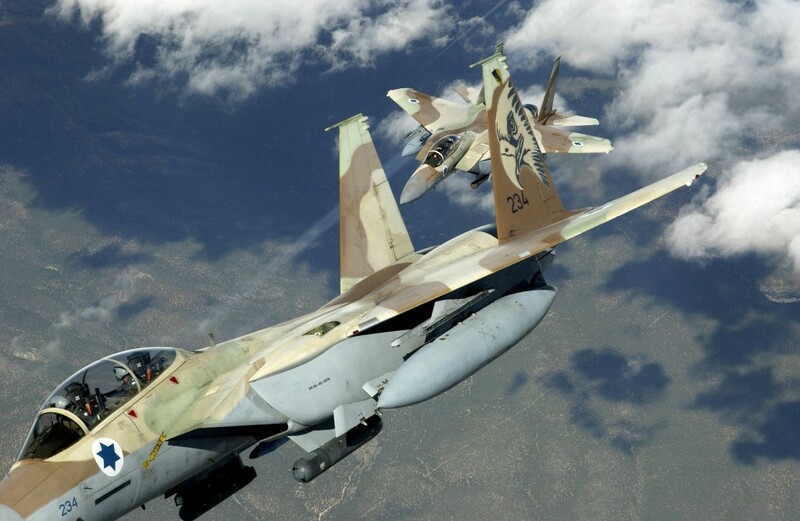 Israeli fighter jets bombed targets south of Beirut early Friday morning in what the IDF spokesperson said was retaliation for rocket attacks against northern Israel the day before. There were no immediate reports of casualties in the attack. According to the Israeli military, the pilots reported a pinpoint strike on terrorist targets near the coastal town of al-Naameh. 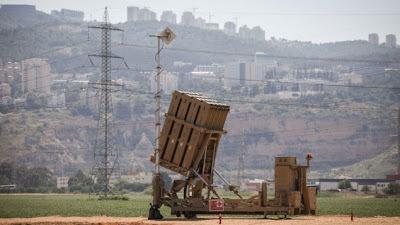 The IDF reiterated that it holds the Lebanese government responsible for Thursday’s rocket fire into northern Israel. 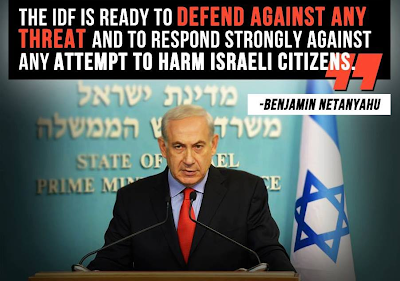 IDF Spokesperson Brig. Gen. Yoav Mordechai announced on Facebook just before 5 a.m. Friday morning that “In response to rocket fire at the north [on Thursday] afternoon, IAF aircraft struck a terrorist target south of Beirut overnight. 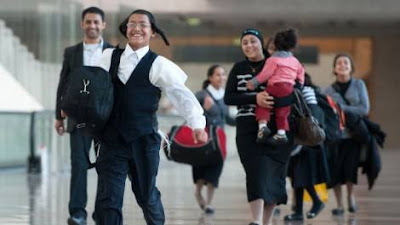 “At this hour, in which our planes returned safely, I wish a good and quiet morning to all residents of Israel and especially residents of the north and those traveling there,” Mordechai wrote. Residents of Beirut took to Twitter and reported explosions and what they believed were Israeli aircraft flying over al-Naameh, approximately 15 kilometers south of the Lebanese capital. According to several users, the target was the headquarters of the Popular Front for the Liberation of Palestine-General Command (PFLP-GC). 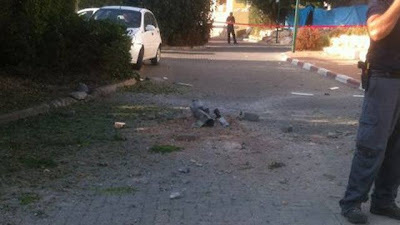 At least four rockets were fired from Lebanon Thursday afternoon, with at least one confirmed as having struck in the area of Nahariya. Several residents have been treated for shock. The IDF has denied earlier reports from Arabic media that it responded to the rockets with artillery fire. Lebanese media has been reporting that at least 2 of the rockets were fired from the Ras al-Ain neighborhood of the city of Tyre. In the last few minutes, the IDF spokesperson's unit has said it believes the rockets were fired by "global jihad" terrorists - another term for Al Qaeda-linked or inspired Sunni terrorists - as opposed to the Shia Hezbollah terrorist group. According to initial reports, one rocket was intercepted by the Iron Dome missile defense system, while three others struck in "open areas." 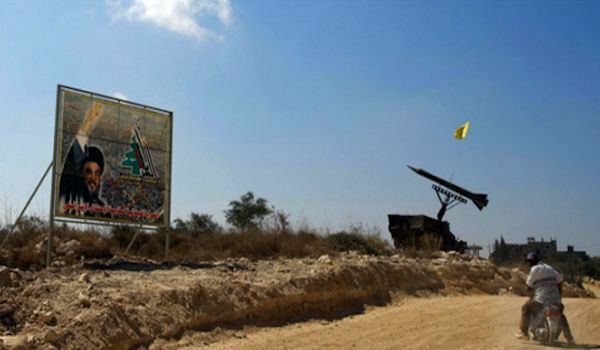 This would not be the first time Sunni Islamist groups affiliated with the "global jihad" or Al Qaeda ideology have fired rockets from Lebanon into Israel. 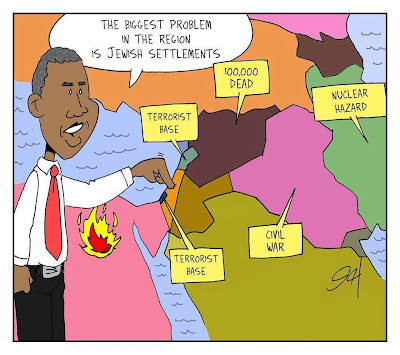 What did Israel ever really did for 'peace'? 2 (1) God, don’t remain silent! consulting together against those you treasure. De Joodse boekenwinkel Samech gaat dicht. Na veertig jaar trouwe dienst doen Daan Daniel en zijn vrouw Shulamit het licht uit. Ze gaan op aliya. Afgelopen zondag was er nog een plankje boeken onverkocht. De rest was uitverkocht, opgedoekt, verdwenen. 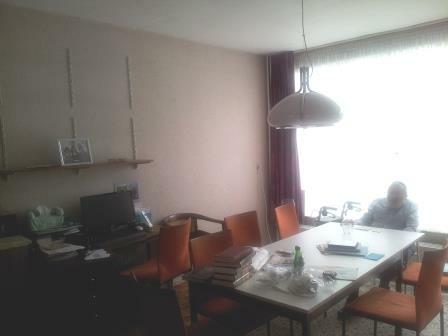 Samech was al die jaren gevestigd in het woonhuis van de familie Daniel waar ook de eigen kinderen opgroeiden, te midden van de boeken. Geen van hen koos het pad van ouders om de boekenverkoop voort te zetten; allen gingen hun ouders vooruit en emigreerden naar Israël of andere plaatsen met een intensiever Joods leven dan Amsterdam. 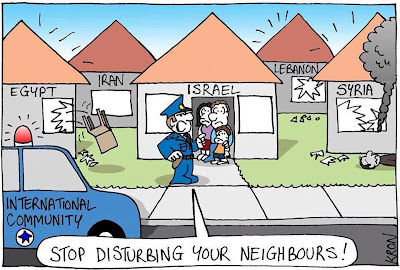 Nu volgen hun ouders hen en vestigen zij zich in Israël. Op de vraag aan Shula wat ze het meest gaat missen, antwoordt ze lachend en zonder lang te hoeven nadenken: mijn fiets! Voor Daan zijn het z’n chawroetot, zijn een-op-een Joodse leerduo’s die hij met ‘sparringpartners’ vormde. Naast boekverkoper was Daan Daniel ook vooral docent. Thuis onderwees hij tallozen in regelmatige sjioeriem, ook weer een-op-een of in kleine groepen. Daarnaast gaf hij les aan het Cheider en voor de Joodse Gemeente Amsterdam. In zijn lessen en in zijn kijk op het Jodendom legt Daniel sterk de nadruk op de West-Europese, Nederlandse kijk op de zaak. De oude Nederlandse uitspraak van de gebeden, de traditionele Nederlandse minhag in de liturgie of thuis, met spijt zag hij ze verdwijnen. Van moeders zijde een kleinzoon van opperrabbijn Heertjes, kan hij gerust een exponent worden genoemd van de Nederlandse Agoeda, waarvan nog lang na de oorlog belangrijke sleutelfiguren mede leiding gaven aan Joods Nederland. In ieder verkocht boek plakte Samech hun befaamde stickertje met de gestyleerde letter Samech, de eerste letter van het woord Sefer = boek, zoals we nog kennen uit voor-oorlogse boeken. "Als ik het aantal rollen met stickertjes bij elkaar optel, komen we tot bijna honderdduizend boeken die we door de jaren heen hebben verkocht." Daniel spreekt het getal zelf met ontzag uit, zelf enigszins verbaasd en diep onder de indruk van wat Samech Joods Nederland aan geestelijk voedsel heeft geleverd. Ook gaven ze soms zelf boeken uit, waaronder een herdruk van de Kinot. Daarnaast was het de import van in Israël, de Verenigde Staten, Zwitserland en andere landen uitgegeven boeken in het Hebreeuws, Engels of Aramees. Boeken voor beginners, maar vooral ook voor gevorderden in het Joodse leren èn leven. Voor de familie Daniel een onverbrekelijk geheel. Een deel van de collectie is voortaan te koop in de winkel Jad Achad. Speaking during meeting with students in Jerusalem, Ban Ki-moon says Jewish state sometimes discriminated against due to Mideast conflict. 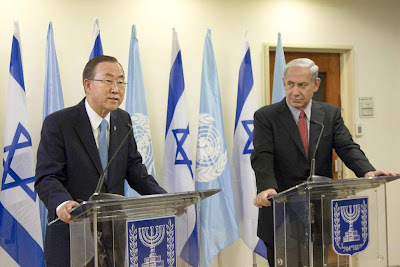 United Nations Secretary-General Ban Ki-moon met with students at the UN headquarters in Jerusalem on Friday afternoon, and admitted that his organization was biased against Israel. Responding to a student who said Israelis felt their country was discriminated against in the international organization, Ban confirmed that there was a biased attitude towards the Israeli people and Israeli government, stressing that it was "an unfortunate situation." PERSECUTION OF CHRISTIANS around the world is being reported with Muslim groups burning down Christian churches. Right now it is happening in Egypt, where angry Morsi supporters attack Christians as a misguided revenge for violence by the Egyptian military. 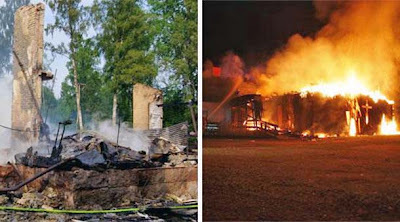 Last night Filadelfiakyrkan in Storholmsjö in the adjacent Muslim dense Karlskrona was burnt to the ground. The question many are now asking is whether the Muslim violence against Christians in Egypt now has also come to Sweden. Last Friday we were able to see how Civic Square in Stockholm was transformed into a replica in miniature of Tahrir Square in Cairo, when hundreds of “Swedish” Morsi supporters gathered and chanted slogans for an Islamized Egypt under the Muslim Brotherhood’s rule, after Friday prayers – against other religions documented intolerant – Södermalm mosque. And Yesterday a Christian church burned to the ground in Karlskrona. Media speculation are biased and claim that ‘right-wing extremists’ could be behind the arson, but other explanations are today closer at hand. We see the same tendency of the media cover-up of the rampant anti-Semitism in Malmö where politically correct blinders prevent journalists from updating its obsolete image of reality. It is just over 20 years ago, right-wing extremists accounted for rare but most of the anti-Semitic violence in Sweden. 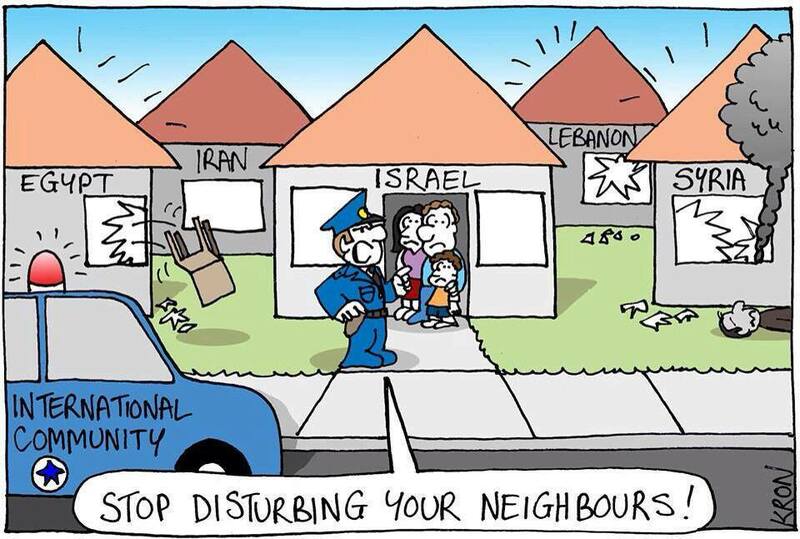 Today it is almost exclusively Muslims with roots in the Middle East who commit these crimes. Maybe it’s time to correspondingly update the attacks on Christians. Perhaps it has now happened in Karlskrona, like what happened in Stockholm last Friday, a sign that the Egyptian conflict unfolds in our country, like the Middle East conflict, the Turkish-Kurdish conflict, etc. in the trail of mass immigration. Hopefully, the police investigation will provide a clarification. De Noren maken op een wel erg aparte manier het onderscheid tussen ‘Goed’ en ‘Kwaad, tussen ‘Goede terreur’ en ‘Slechte terreur’. Links de Noorse massamoordenaar Anders Breivik, die op 22 juli 2011 op het Noorse eilandje Utoya dozijnen kinderen afslachtte van de Noorse socialistenjeugd. Dat vonden de Noren maar ‘slechte terreur’. Rechts, een Jihadist van Hamas uit Gaza met een raketlanceerder op de schouder die Israëlische Joodse kinderen vermoord, dat vinden de Noren wel ‘goede terreur’ die zij als gerechtvaardigd zien. 1 juli 2011, één dag vooraleer op het Noorse eiland Utøya Anders Breivik een ware slachting zal aanrichten onder de jeugdige deelnemers: De Noorse minister voor Buitenlandse Zaken Jonas Gahr Støre (links) en Eskil Pedersen (horizontaal gestreepte T-shirt), voorzitter van de Noorse socialistische partij AUF, poseren hier samen voor het boycot Israël spandoek op het eiland. Samen zullen zij de grote wereldproblemen aanpakken maar wel éérst Israël demoniseren en boycotten. "The Jews/Israel occupy our land" say the 'Palestinian' Arabs/Islamics!? When does the United Nations BAN out the lie, that Israel is occupying any 'Palestinian' land!? Judea﻿ and Samaria (West Bank) belongs to the Jews forever! Arabs can live and work there freely under Israeli/Jewish rule and government. Esther Meshoe, daughter of conservative South African parliamentarian, Dr. Kenneth Meshoe, refutes false allegations of apartheidism on the part of Israel, and accuses the BDS-movement of lying propaganda. Anyone who was expecting liberal democracy to sprout in Egypt following the series of revolutions, protests, elections and crackdowns since president Hosni Mubarak was overthrown in 2011 will be sorely disappointed by Wednesday’s military assault on protesters and the imposition of emergency law. 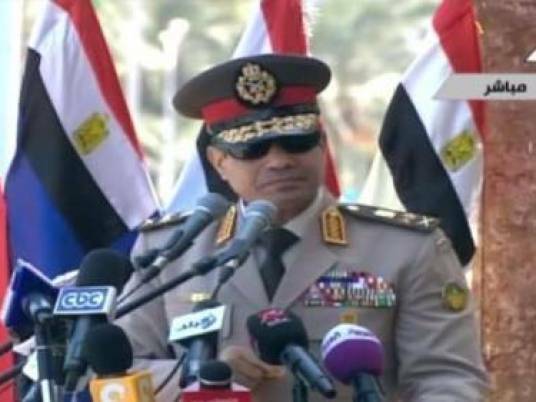 One thing is clear – military chief Gen. Abdel Fattah al-Sisi is the new king of Egypt. 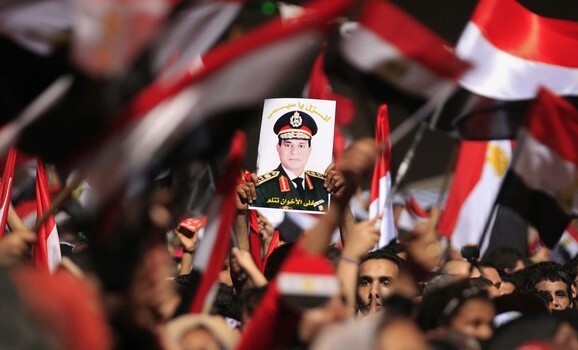 Even though the government said it would continue to follow the transition process and hold elections, it seems ever more apparent that the elections will likely not be fair and that Egyptian governments, at least in the near future, will probably rule at the pleasure of Sisi. This would be similar to Arab monarchies, where a king has overall authority but delegates governance to a prime minister and his cabinet. If things get out of hand or the government does something the king does not like, it is simply forced to carry out the king’s will or is dismissed. Our Comment: You must all Read the prophecy about Egypt in Isaiah chapter 19. The word of God is fulfilled before our own eyes! 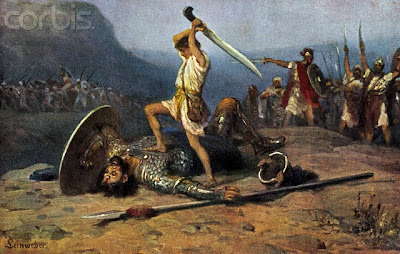 It states in verse 4: "And the Egyptians will I (the Lord, God) give over into the hand of a cruel lord; and a fierce king shall rule over them, saith the Lord (Adonai), the Lord of hosts (Zebaoth)." In een geheime operatie, uitgevoerd door het Joods Agentschap met hulp van de ministeries van Buitenlandse Zaken, Binnenlandse Zaken en Integratie heeft Israël woensdag 17 Joden uit Jemen thuisgebracht. Bij de groep waren ouders, die direct uit Jemen naar Israël ontsnapten, en hun kinderen, die twee jaar eerder al in het geheim naar Argentinië waren ontkomen. De geschiedenis begon in augustus 2011, toen leden van de Joodse ultraorthodoxe Satmarbeweging een groep van 30 Jemenitische Joden er van overtuigde naar Londen te komen, waar ze een vluchtelingenstatus zouden krijgen. Maar net nadat zij Jemen hadden verlaten kreeg de groep te horen dat ze geen toestemming zouden krijgen om Groot-Brittannië binnen te gaan, en in plaats daarvan reisden ze naar Argentinië. Bij de groep waren zes van de kinderen van Yehya Karnei en vier kinderen van zijn broer Haim Karnei. De twee echtparen werden woensdag eindelijk op Israëlisch grondgebied herenigd met hun kinderen. In de afgelopen jaren kreeg de kleine Joodse gemeenschap van Jemen steeds meer te lijden onder bedreigingen door moslimextremisten, waaronder aanhangers van Al Qaida. Sinds 2008 zijn bij diverse gelegenheden prominente leden van de Joodse gemeenschap ongestraft openlijk vermoord, omdat zij zich voor hun volk hadden uitgesproken. De omvang van de Joodse immigratie uit Jemen is sterk gegroeid als gevolg van de toenemende antisemitische bedreigingen en activiteiten. In de afgelopen vier jaar zijn meer dan 150 Jemenitische Joden naar Israël gekomen dankzij speciale en geheime operaties van het Joods Agentschap. Volgens schattingen van het Joods Agentschap zijn er nog maar 90 Joden overgebleven in Jemen, en de helft van hen woont in een beschermde compound in de hoofdstad Sana'a. 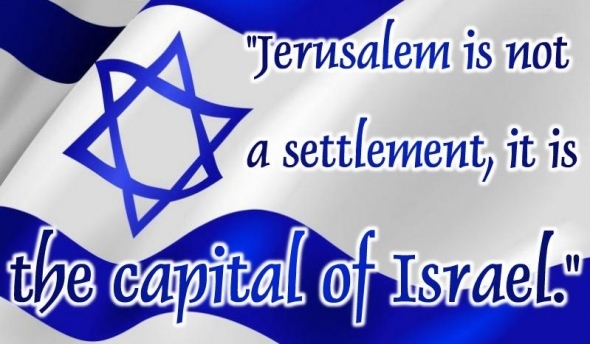 Jerusalem is the historical capital of the Jewish people & the State of Israel. International Red Cross employees helping Jewish refugees flee Jerusalem, when it was attacked and occupied by Jordanians and other Arabs/Islamics. 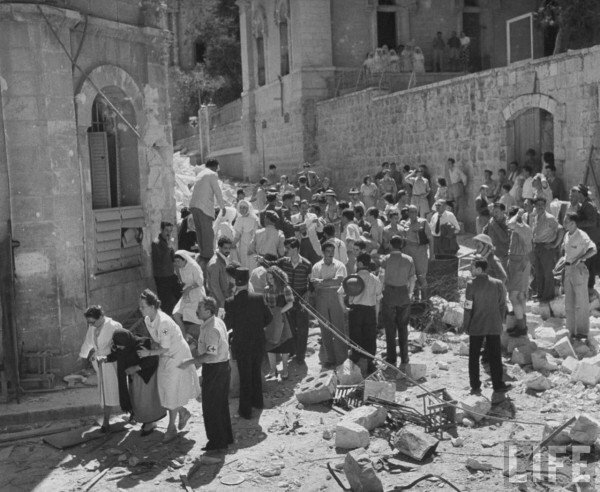 Israel, June 1948. 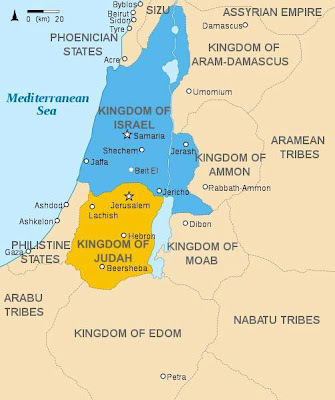 The Bible refers to Jerusalem (667) and Zion 850 times. It is not mentioned a single time in the Koran, nor is it even mentioned in the PLO Charter. 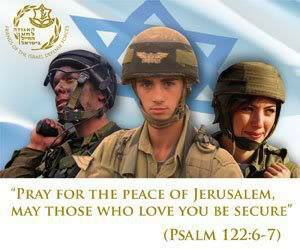 Jews throughout the world pray facing Jerusalem; where all praying Muslims face Mecca. Jerusalem has NEVER been the capital of any other nation except Israel, nor has it ever been holy to Muslims. 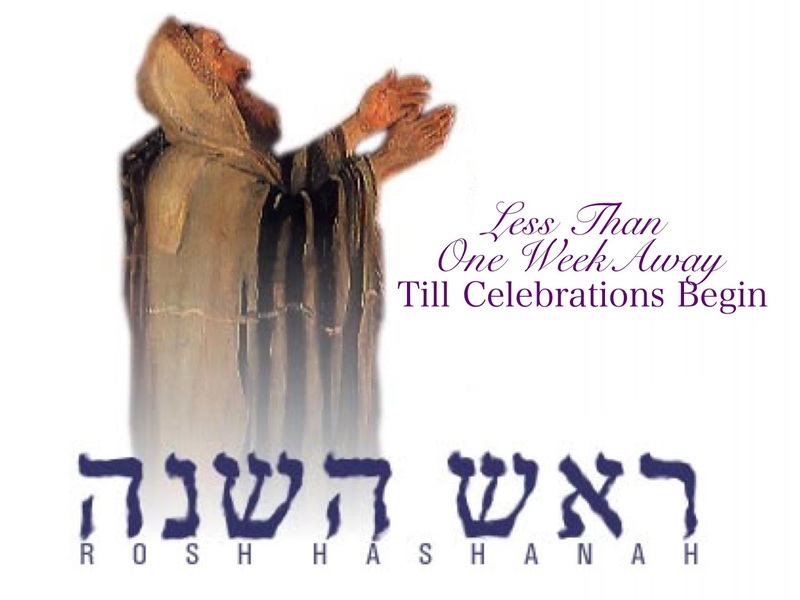 It is time Judaism's spiritual vail/covering will be removed by the Lord God! And it will happen, and it is happening today, and you see that in the messianic Movement in Israel and all over the world. Yeshua is the Messiah! First to the Jew, and then to the non-Jew! Jesus (Yeshua) was/is born a Jew. The first followers of Jesus were Jewish Fisherman. 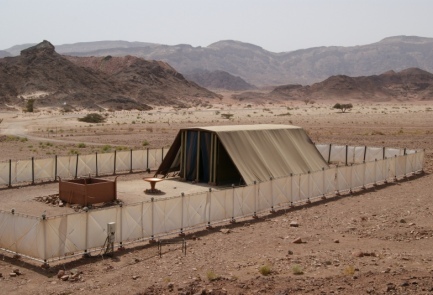 The first believers and converts in Yeshua were only Jewish people, at least 3000 men/people. The new Testament (Brit Chadasha) also called the new covenant, is written by Jewish men, in the same Jewish Hebrew language and style as the Tenach. In all centuries there were Jewish people, men and women, who were believers in Yeshua (Jesus) as Messiah, till this day on. Church burned in Suez, Egypt on Wednesday. There may have been more than 20 incidents of burning of churches and attacks on Christian institutions, based on unconfirmed reports on Twitter from Coptic leaders and organizations who are closely following the outbreak of anti-Christian violence. Suriel added, ”These attacks on the Copts is unprecedented in the modern era.” He called on the international community not to be passive. The Egyptian state news agency Mena reported assaults on three churches, including the destruction of the Mar Gergiss church. AFP reported that the attackers tossed firebombs at Mar Gergiss in Sohag, on the west bank of the Nile. The city of Sohag has a large Coptic community. 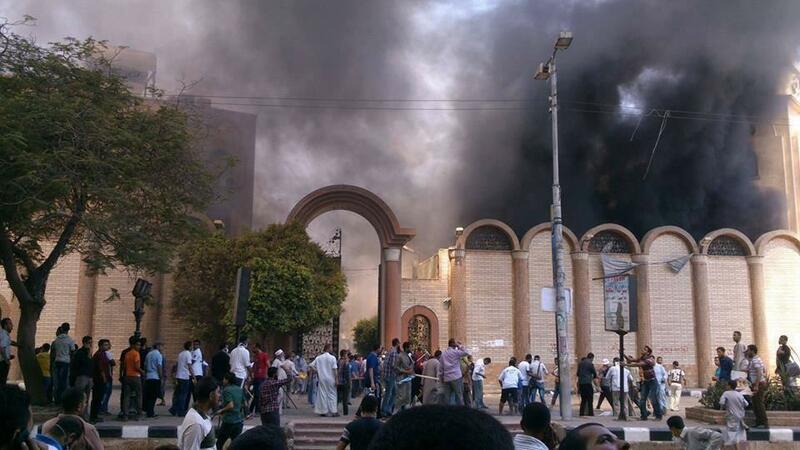 AFP reported two churches were attacked in El-Menia province, causing fire damage to both buildings. 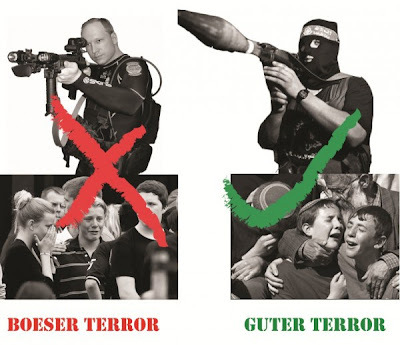 In general Western media have ignored the violent attacks. 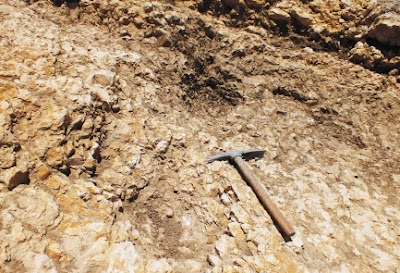 There were reports that one of Egypt’s oldest churches, the fourth century Virgin Mary in Minya, was engulfed in flames. The violence on Wednesday comes after the shooting (by an islamist) of a young Coptic girl in Cairo last week. After completing her Bible class at the Ahmed Esmat Street Evangelical Church, Jessi Boulus was shot. Her uncle works as a pastor at the church. 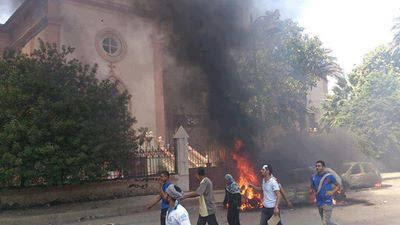 Church in Beni Suef was also set on fire.